Our 2017 Word of the Year was Complicit. Time magazine declared the Silence Breakers the 2017 Person of the Year. 2018 – Our Year of Voice! These two syntheses of 2017 say it all. Most importantly for us, it has reminded us that we must keep steadfast in our role as griots who break the silences and dispel the myths about Africa. New voices are emerging and are more important than ever… through We Will Lead Africa, we are contributing to this movement and are declaring 2018 our Year of the Voice. We hope that you will come along with us, raise your voices and share your stories. 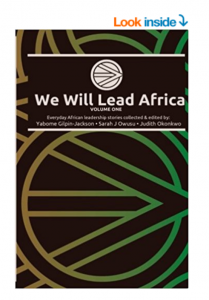 This year, we are launching calls for We Will Lead Africa stories on Governance, Women and Technology.